In this booklet Sri S.N. 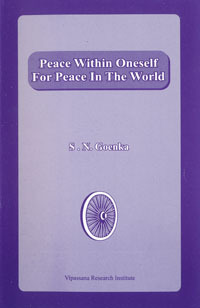 Goenka shows that unless one has peace within oneself there can be no peace in the world. He also shows here how peace within oneself can be attained by practicing vipassana.